Potatoes gently cooked to perfection in the finest oils, and then gently season them with the freshest, all natural ingredients and spices, creating chips with deep, rich flavors and fresh-from-the-field character. They take beautiful potatoes, slice them, cook them, and perfectly season them - without any trans fats, GMO ingredients or oils, or any other artificial ingredients. All Natural, No Artificial Stuff. No trans fats, no MSG, no lists of ingredients you can't pronounce. Who needs it when this obsession for potato perfection results in award-winning chips, naturally? If it’s not completely natural, it has no business getting anywhere near these cherished potatoes. Kettle Buffalo Bleu Potato Chip - 5 Oz. Kettle Buffalo Bleu Potato Chip - 2 Oz. Kettle Buffalo Bleu Caddy Potato Chip - 2 Oz. 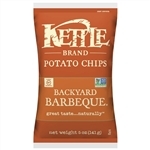 Kettle Backyard Barbeque Potato Chip - 5 Oz. Kettle Backyard Barbeque Potato Chip - 2 Oz. Kettle Backyard Barbeque Caddy Potato Chip - 2 Oz. 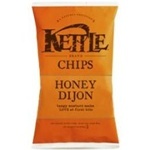 Kettle Honey Dijon Potato Chip - 5 Oz. Kettle Honey Dijon Potato Chip - 2 Oz. Kettle Honey Dijon Caddy Potato Chip - 2 Oz. Kettle Jalapeno Potato Chip - 2 Oz. Kettle Jalapeno Caddy Potato Chip - 2 Oz. Kettle Lightly Salted Caddy Potato Chip - 2 Oz. Kettle Lightly Salted Sea Salt Potato Chip - 2 Oz. Kettle Lightly Salted Potato Chip - 5 Oz. Kettle New York Cheddar Potato Chip - 2 Oz. 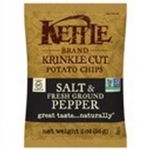 Kettle Krinkle Cut Salt and Ground Pepper Potato Chip - 2 Oz. Kettle Salt and Ground Pepper Caddy Potato Chip - 2 Oz. Kettle Sea Salt and Vinegar Potato Chip - 5 Oz. Kettle Sea Salt and Vinegar Potato Chip - 2 Oz. Kettle Sea Salt and Vinegar Potato Chip 2 Oz. Potato Chip Sea Salt - 1 Oz. Backyard Bbq Potato Chip - 1 Oz. Kettle Chips Jalapeno - 1.5 Oz. Kettle Potato Chip Honey Dijon - 1.5 Oz. 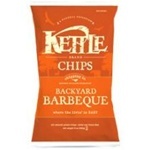 Kettle Chips Backyard Bbq - 1.5 Oz. Kettle Chips Sea Salt and Vinegar - 1.5 Oz. Backyard Barbeque Potato Chips - 8.5 Oz. Kettle Krinkle Potato Chip Salt and Pepper - 1.5 Oz. 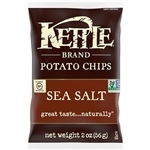 Kettle Sea Salt Potato Chip - 5 Oz. 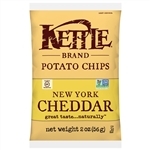 Kettle New York Cheddar Potato Chips - 5 Oz. Kettle Krinkle Potato Chip Salt and Pepper - 5 Oz. 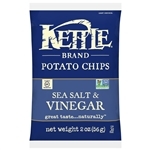 Kettle Sea Salt and Vinegar Potato Chips - 5 Oz. Kettle Backyard Barbeque Potato Chips - 5 Oz. Kettle Jalapeno Potato Chips - 5 Oz. Kettle Sea Salt Potato Chips - 1.5 oz. Kettle Sea Salt and Vinegar Potato Chips - 1.5 oz. Kettle Jalapeno Potato Chips - 1.5 oz. Kettle Backyard Barbeque Potato Chips - 1.5 oz. Kettle New York Cheddar Potato Chip - 1.5 oz. Charcoal Briquettes - 15.4 Lb. Kettle Potato Chips Pepperoncini Caddy - 2 Oz. Thick Bold Dill Pickle - 2 Oz. Kettle Krinkle Cut Potato Chip Salt and Pepper - 1.5 Oz. Kettle Pepperoncini Potato Chips - 5 Oz. Jalapeno Kettle Potato Chip Variety Pack Open Top - 1.5 Oz. KC Korean BBQ Potato Chips - 2 Oz. Mgrain Sea Salt Tortillas Chip - 2 Oz. Chip Mgrain Sea Salt Tortillas - 2 Oz. Clasico Jalapeno Lime Tortilla Chips - 2 Oz. Tortilla Chips Clasico Jalapeno Lime - 2 Oz. Clasico Nacho Chipotle Tortilla Chips - 2 Oz. Tortilla Chips Clasico Nacho Chipotle - 2 Oz. Tortilla Chips Clasico Bacon Habanero - 2 Oz. Tortilla Chips Clasico Buffalo Queso - 2 Oz. Clasico Buffalo Queso Tortilla Chips - 2 Oz. Potato Chips Avocado Oil Chili Lime - 1.5 Oz. Potato Chips Avocado Oil Himalayan Salt - 1.5 Oz. Cape Cod Potato Reduced Fat - 2 Oz. Cape Cod Sea Salt and Vinegar Potato Chips - 2 Oz. Pepperoncini Chips - 2 Oz. Kettle Krinkle Salt and Pepper Potato Chips - 8.5 Oz. Sea Salt Rest Style Tort Chip - 11 Oz. Late July Jalapeno Lime Classic Tortilla Chips - 5.5 Oz. Crackers Rich - 6 Oz. Chip Sea Salt by the Seashore Multigrain - 6 Oz. Mild Green Mojo Multigrain Chip - 5.5 Oz. Buy wholesale Kettle Foods from the leader in foodservice supply.